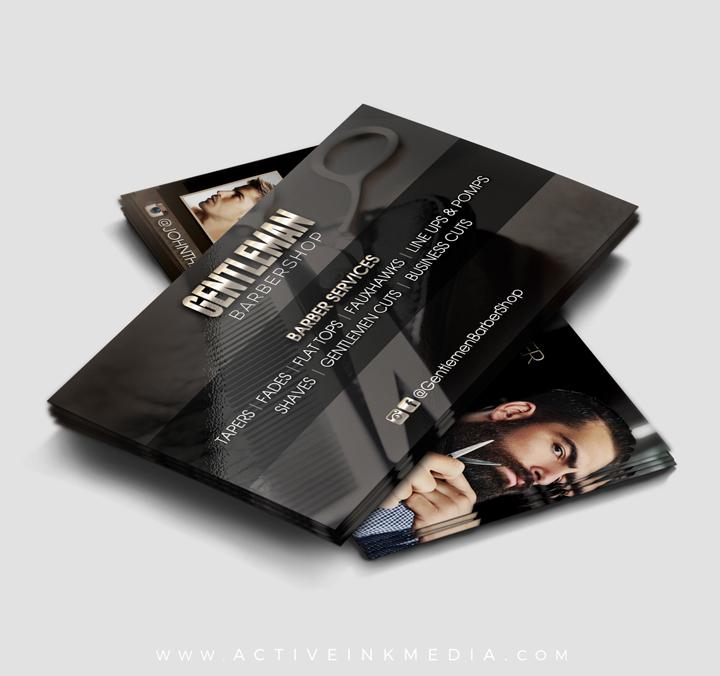 Choose the quantity of business cards you would like. *Design Proofs will be sent to your email for review purposes. Your order will not go into printing until you approve proofs. Please choose a printing finish: High Gloss & Matte Coating are standard & are at no additional cost. Have a logo you’d like to add to the barber design? We’d love to add it for you. Client photos, social media info, promo’s we’ll add it for you thus making our design work for you! Simply input the desired information with your order (include info in supplied text field) & we will tailor the design to your requests! 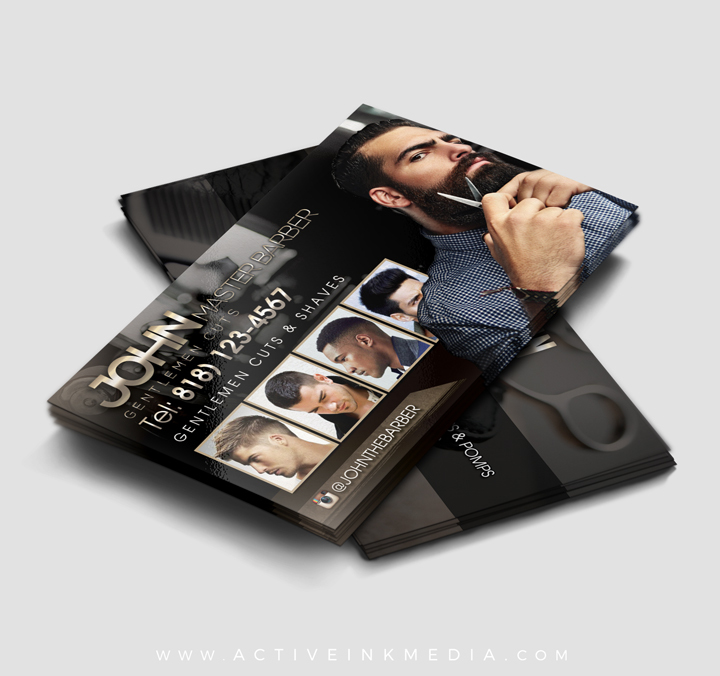 Here at Active Ink, we make sure all our customers/clients are completely 100% happy with the service & end-product. We make sure to tend to any concerns or problems. Our online store is filled with high quality designs and prints. We also do custom orders, so if you have any questions for anything on our site or maybe you dont see what your looking for, please feel free to message us and we'll get back to you as soon as possible. Any Questions? Don't see a design in your industry/field? Let us know about it, and we'll make sure to make note of it and put your industry design in our pipeline! All orders are shipped to the provided billing address, unless otherwise noted by customer at time of purchase. We only ship in the Unites States Of America. We are pride to say all printing and design services we offer are produced in the USA. We do not outsource! Have any questions? Feel free to drop us a message. Want to print yourself, or with another online printer? and just need the customized design? Want a customized design + professional prints? Select your desired Design + QUANTITY. We will not start on your design until I have all info above. *Any delay by you will result in your order being moved to the back of the queue. Need a logo or a specific image in the design? Be sure to add your order number in the email if you decide to email your logo or image to us. Once we receive your logo/image we can then begin the design process.